So What Are PR And Advertising? Advertising, quite simply, is paying dollars for ad space to showcase a message - be it on television, in a print source - including out of home, or in a digital ad to promote the brand to viewers. The bus kiosks, the TV spots, the digital banners and pop ups, the train or taxi signs, the magazine ads, the... you know. The list is endless. Advertising is the most in-your-face way of promoting a brand, and a practice that can be alienating, intrusive and bitterly complained about by many. 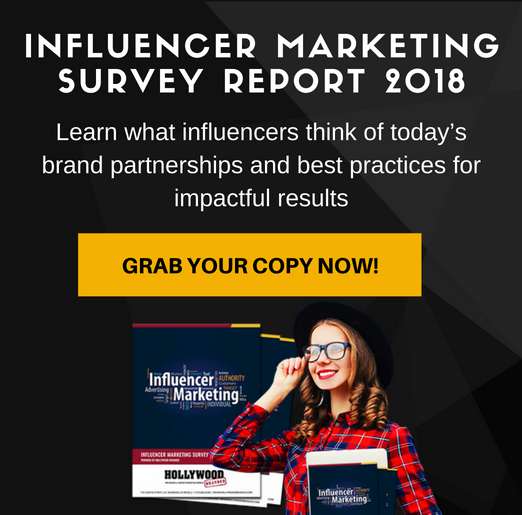 This means PR strategists connect the brand to the consumers by way of making sure the brand is viewed in a positive light by consumers typically through earned media, through press releases, pursuing favorable articles in relevant publications, or association by word of mouth influencers, and even doing damage control if need be. Check out our blog post we wrote on Not Having A Public Relations Plan In Place. So What Makes Marketing Different? Entertainment marketing is a specific facet of marketing that focuses on reaching consumers through entertainment - specifically product placement, brand integration, celebrity endorsement, social media influencer campaigns and much more. We not only believe, but know star-power turns heads. 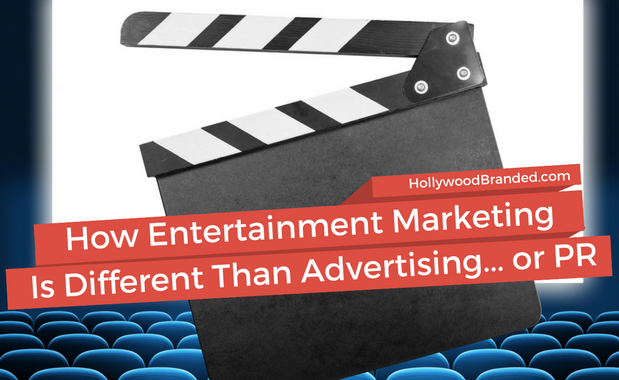 Marketers who focus on entertainment marketing in particular have extremely established relationships within the stars of Hollywood and with the people who run it behind the scenes. 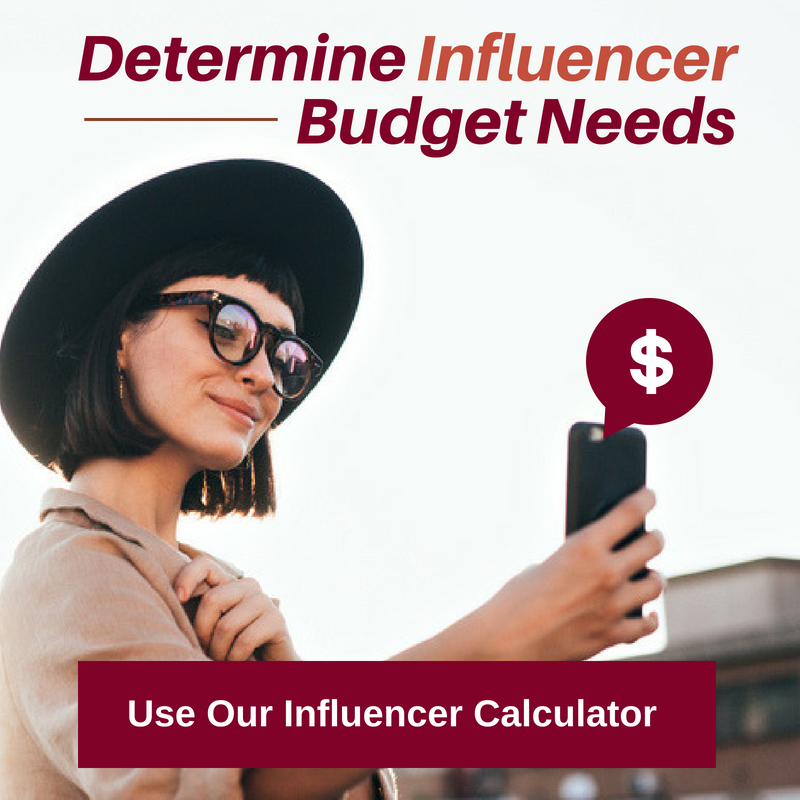 They are experts at creating a marketing strategy that fits the brand and feels organic to the consumer while still 'wow'-ing them with celeb power. 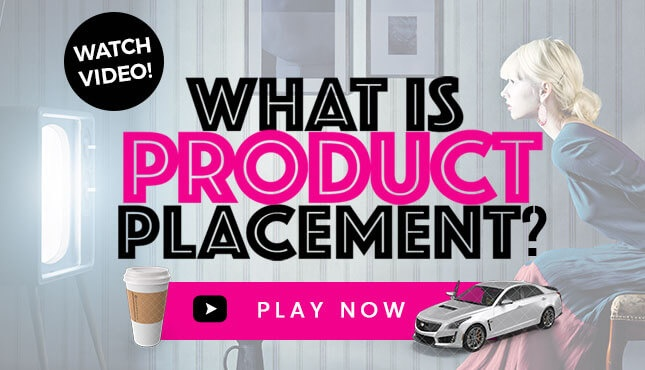 To see your product or brand used on TV or in the hands of a celebrity? Well, it quite simply validates the quality of your brand to those who consume that form of entertainment, whether the consumer realizes it or not. And 43% of consumers report actively being aware of making a purchase from seeing a brand in content they are watching! That is 43 people out of 100 who may never have bought the brand if they hadn't seen the content. And that's only those who are aware of it. This power of suggestion is very important in a marketing strategy and therefore should be to brand marketers. It can completely sway the way your demographic views your brand. We are in a time when brands continue to spend more on advertising than on their marketing or even PR plan. 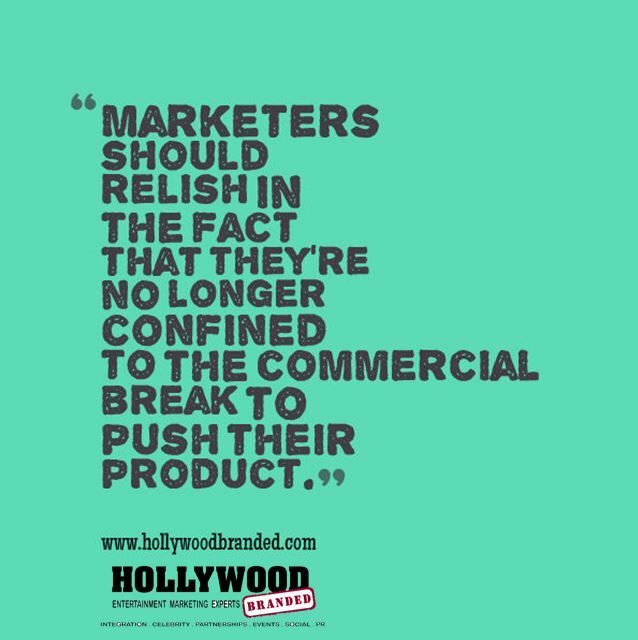 Even though consumers do SO MUCH to try to ad-avoid. But with current trends, that is an outdated approach - and is no doubt going to change. 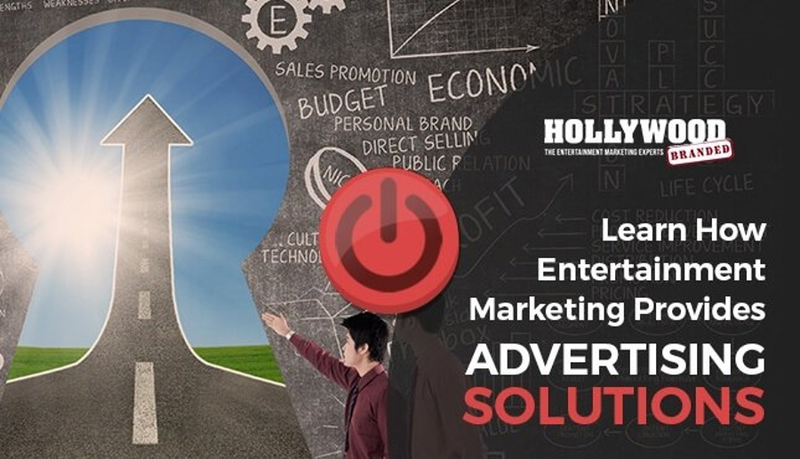 As more and more people use ad blocking services, stream from digital outlets like Netflix which have no commercials, and do everything they can to avoid or completely tune out ads, entertainment marketing has become the most organic and effective way to reach consumers. Consumers are becoming smarter, especially in this digital age. The consumption of digital content is expected to surpass that of any other medium within the next year yet big brands still spend their dollars on ads their consumers will either pay not to see or feel annoyed while watching them. However, watching their favorite celebrity sip on your beverage on their favorite TV show? Seeing the lead character in a film wear your brand's clothes? Scrolling through social media to see a celebrity with your gadget? Well that's better than a cheesy 30 second TV ad spot any day. And more and more brands are realizing this and creating marketing strategies to wow their consumers. 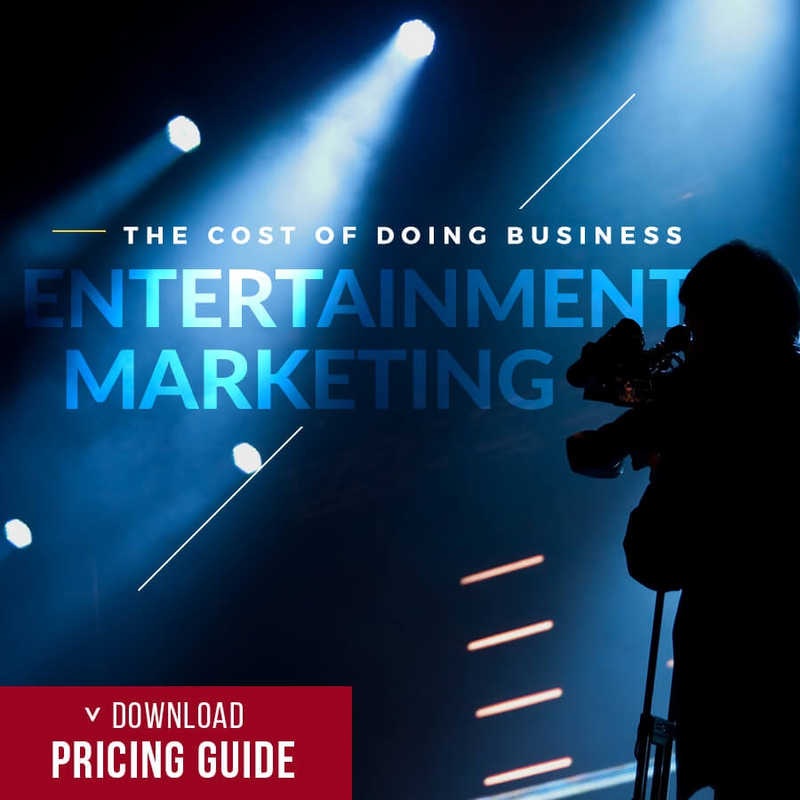 Before you spend another dollar on traditional advertising, start thinking about ways to make your marketing more engaging to consumers using entertainment marketing. Watch our video below to learn how to combat common advertising challenges marketers face daily!